The newest t-shirt addition. 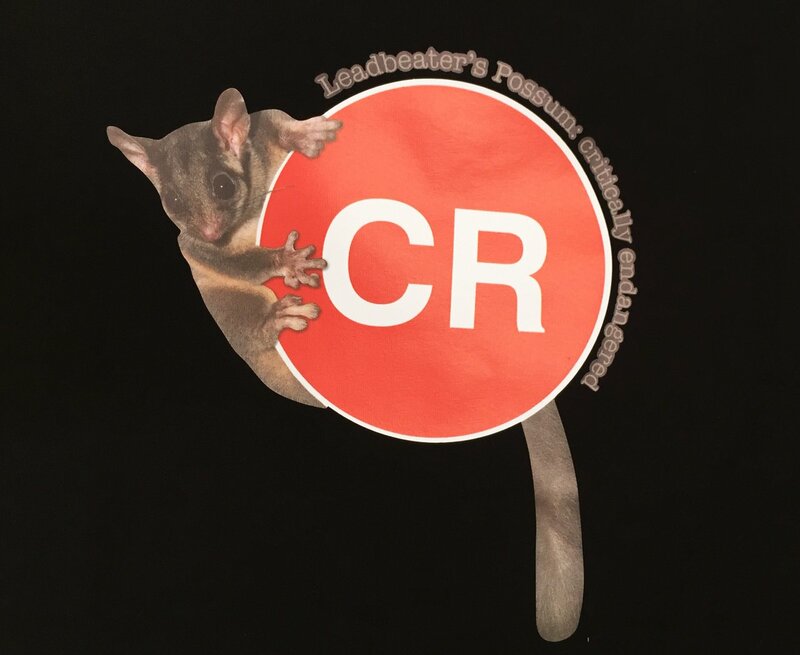 This item recognises that Leadbeater’s Possum is officially critically endangered. The shirt carries no ‘Friends’ insignia so you can support the campaign covertly.